The U.S. banking industry has largely sat out the impressive surge in M&A activity of the last few years. Total deal volume hit a record US$2.3 trillion in 2015 — up 64 percent over 2014. But banks accounted for just 3 percent of the total value, despite the fact that they account for 9.3 percent of total market capitalization. That’s about to change: We believe the pace of M&A in U.S. banking will accelerate sharply in 2016. The market structure of U.S. banking is obsolete, and the industry’s profitability has been weak for nearly a decade. 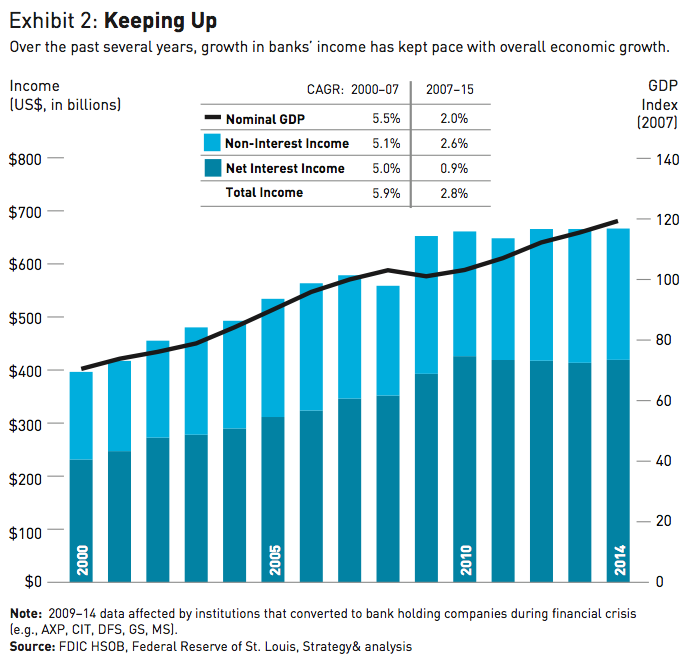 Regulatory and competitive pressures are making it hard for most banks to grow revenues and profits. The convergence of these trends makes it imperative that banks consolidate to gain scale and lower their cost structures. As a result, we expect significant consolidation among mid-tier players — those banks with between $10 billion and $250 billion in assets. Given their scale, these large players can significantly out-invest other banks in brand marketing, data analytics, and digital products and services. With activism rising through-out the industry, targets are no longer limited to small players, as shown by recent campaigns against larger specialized and regional banks. The activists include Trian Partners (which has targeted BNY Mellon and State Street), Green-light Capital (Citizens Financial, CIT Group), Basswood Capital Management (Hudson Valley Bank, Synovus, Astoria Financial), and Hudson Executive Capital (Comerica, CIT Group). This activity will likely increase. PL Capital has announced a new private equity fund focusing on banks with between $3 billion and $75 billion in assets. It is clear that banks will have difficulty boosting profits on their own. Merely to raise the return on equity in the sector to equal their 10 percent long-term cost of capital, banks would need to increase cumulative pretax profits by 35 percent — a total of $38 billion per year. This increase would need to come from a combination of cost re-engineering and revenue growth. Improving the bottom line is likely to be difficult because the top line isn’t growing much. Overall revenues have been under pressure since their 2007 peak at the crest of the previous business cycle. Net interest income has been flat in the post-2007 era, thanks to low interest rates and a flat yield curve. Digitization and new regulations have also driven down volumes and margins across capital-markets and sales and trading businesses. Despite the failures of several large banks and hundreds of mergers in the past decade, the U.S. banking market remains more fragmented than the markets of other large developed nations. Noninterest income has also been flat, due to a series of postcrisis legislative initiatives that adversely affected fee-based revenue in deposit taking, credit cards, and payments. Ongoing scrutiny from the newly created Consumer Financial Protection Bureau has driven down pricing and ancillary revenues in consumer-facing businesses such as mortgages, deposit banking, credit cards, student lending, auto lending, and unsecured lending (see Exhibit 2). 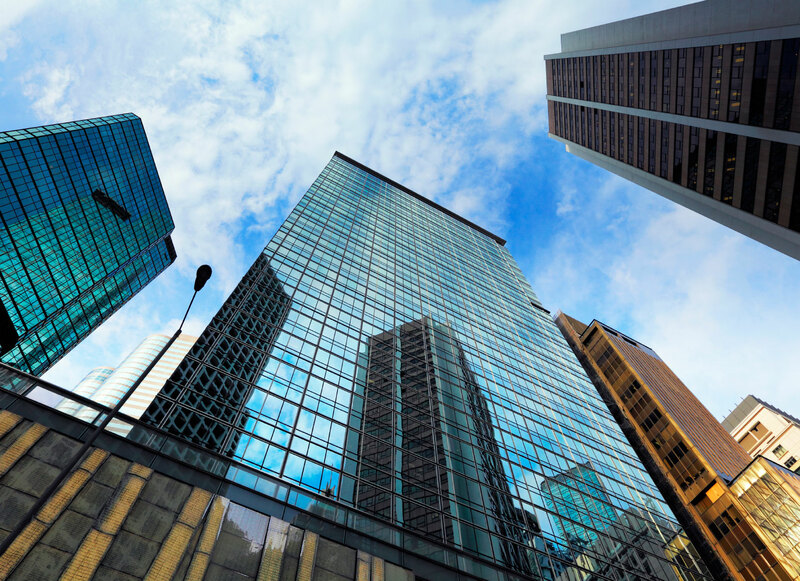 Banks have also ceded market share to nonbank players in businesses such as subprime lending, asset management, proprietary trading, and wealth management. In particular, nimbler, non-regulated financial technology players such as LendingTree, Lending Club, and PayPal are intruding into the more lucrative, fee-based businesses of banks such as retail lending and global payments. Technology has lowered barriers to entry for these new competitors. Big data analytics and digital channels may be lowering costs of identifying and marketing to “cherry-picked” prospects.